In North and South America they became extinct about 11,000 years ago. This was in the "late Pleistocene" era. Just over 14,000 years ago humans migrated from Asia to North America. They are called the "Clovis" people. Between 11,500 and 18,000 years ago the climate and the environment of North America underwent a change. Temperatures warmed. Rainfall patterns changed. Glaciers melted. 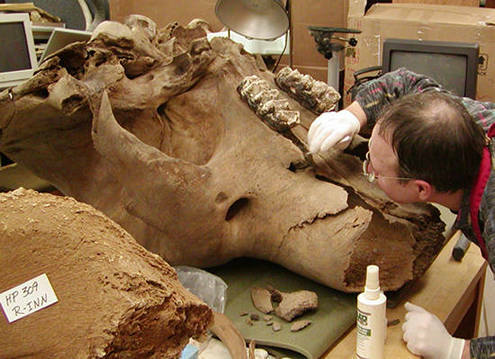 Mammoths lived back to 18,000 to 20,000 years. 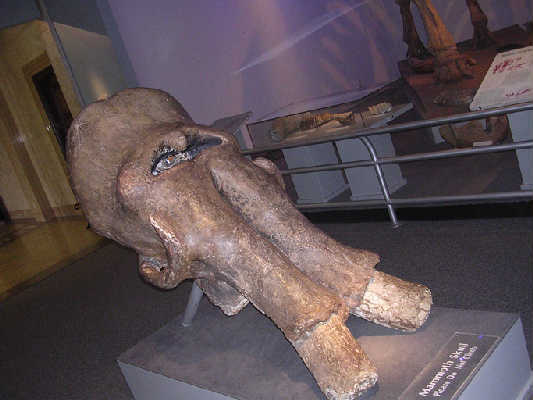 Mammoths are found in many parts of Mexico, especially in the States of Jalisco (in the area of Lake Sayula and nearer the coast), Guanajuato, and Aguascalientes (in the areas of Rio Verde and near the town on Charcas). Adult weight: 4 to 6 tons. Height: 8 to 10 feet.